August 1945: A lone B-29 takes off from Alaska for the long flight to Japan, bearing the third atomic bomb as back-up to the Hiroshima and Nagasaki bombs. Shot down just short of its target, the plane crashes into the sea, taking its secret to the bottom. In the aftermath of the war, its very existence is denied, then forgotten. October 1993: A new Japanese empire has emerged, one relying upon financial power rather than military prowess. An uneasy America, increasingly under siege from the economic might of its "ally," remains unaware of the lengths to which some Japanese may be willing to go to ensure Japan's dominance. Unaware, that is, until a huge Japanese auto carrier carrying thousands of "Murmoto" cars made by the mysterious Hideki Suma is destroyedby a nuclear explosion... In Dragon, his most thrilling and entertaining novel to date, Clive Cussler deftly mixes recent history with some of our deepest fears. 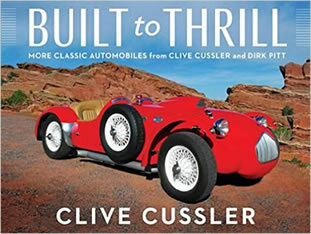 He has created a masterpiece of suspense, in which it is once again up to the inimitable Dirk Pitt to defuse a terrifying threat to world peace. From the icy Alaska coast to a tropical paradise in the Pacific, Dragon describes an astonishing and brutal conspiracy, aimed at forcing the West into final acceptance of Japan's world leadership. 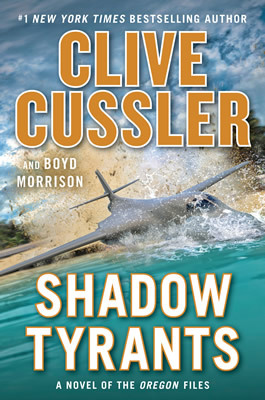 With infinite patience and ruthlessness, the conspirators have laid their plans so well that America lies helpless before the complex Japanese plot... Dirk Pitt, Cussler's brilliantly conceived hero described by The New York Times Book Review as an "endearing blend of Boy Scout, Doc Savage, and James Bond"is the one man who can foil the conspirators and stop the Japanese plan before Armageddon is unleashed. Whether exploring the ocean floor five kilometers below the surface, or fighting an evil samurai-inspired Japanese thug, saber against traditional katana to the death, Pitt is always one step ahead of his adversaries. From the secret underground vault where he uncovers Nazi treasurers protected for decades by instantly fatal nerve gas, to a hardware store in a suburban Maryland town where he fends off an attack by ninja-suited warriors, Pitt is a virtual one-man army of skill and daring, reacting to every crisis with his usual charm, good humor, and brilliant inventiveness, as successful with the ladies as he is in his feats of derring-do. But can any one man defeat the cunning and might of the new Japan when it mobilizes its vast technological resources and its ancient warrior traditions? 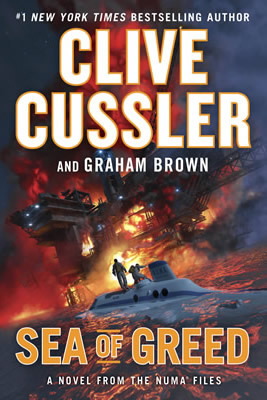 For Dirk Pitt, in his biggest adventure yet, the answer could mean death. For the United Statesdefeat and enslavement.